On Nov. 11, 1918, an armistice was reached between the Allies and Germany. 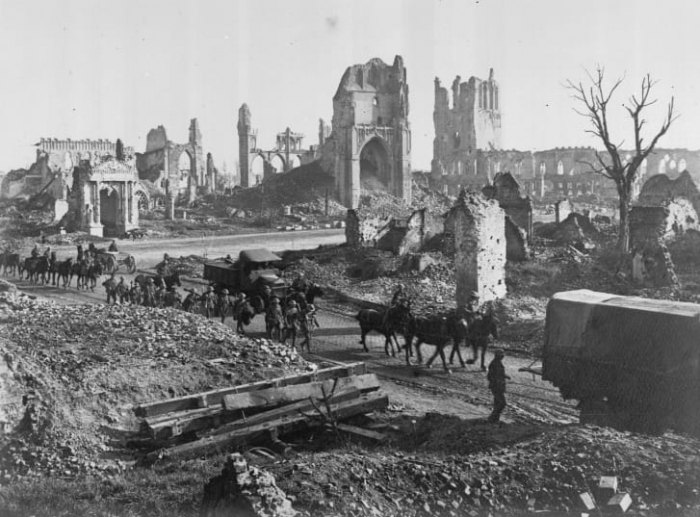 The First World War -- the so-called "war to end all wars" -- was officially over. In Britain, as elsewhere, it seemed things could only get better. Naturally, there were eruptions of joy across the island, and little needs to be said about the over-the-top extravagance that followed during the Roaring Twenties. Yet, while it was certainly a time of renewal and new beginnings, the cost of victory had been high. 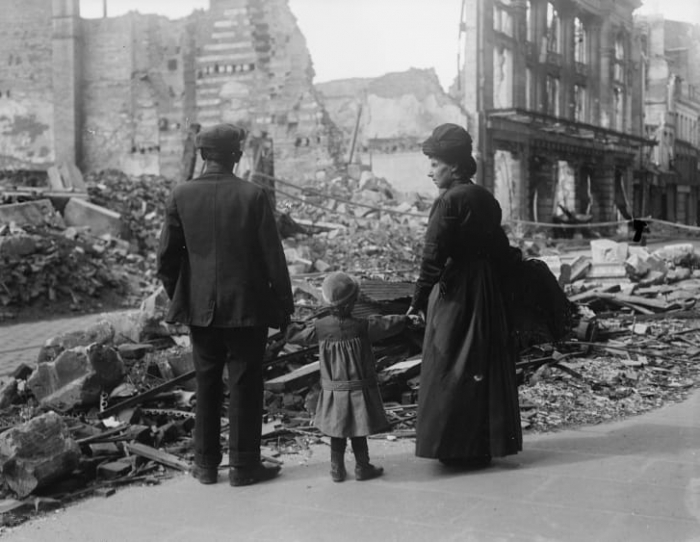 During the war, the British had been devastated emotionally, physically, and economically. Celebrations were tempered with citizens gathering publicly to mourn their dead and struggling to make sense of their new reality. It's this period of adjustment that is being explored at London's Imperial War Museum. 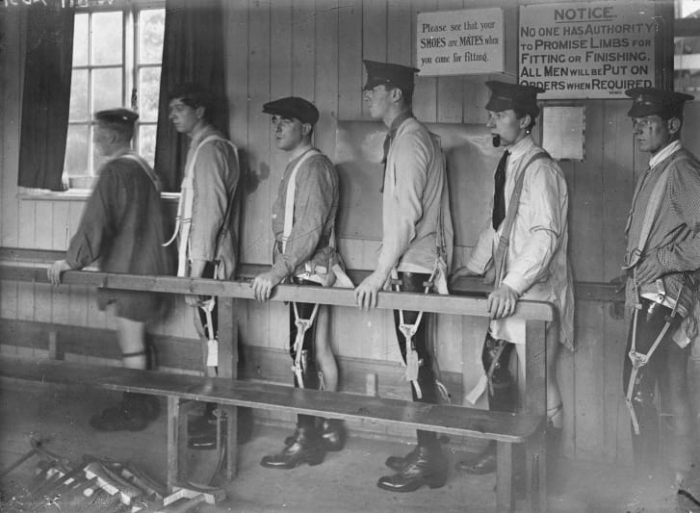 Through a collection of more than 130 rarely seen black-and-white photographs, as well as assorted documents and objects, "Renewal: Life After the First World War in Photographs" highlights the mixed emotions and confusion felt of post-war Britain, and the ways those affected by the war oriented themselves in the new world. 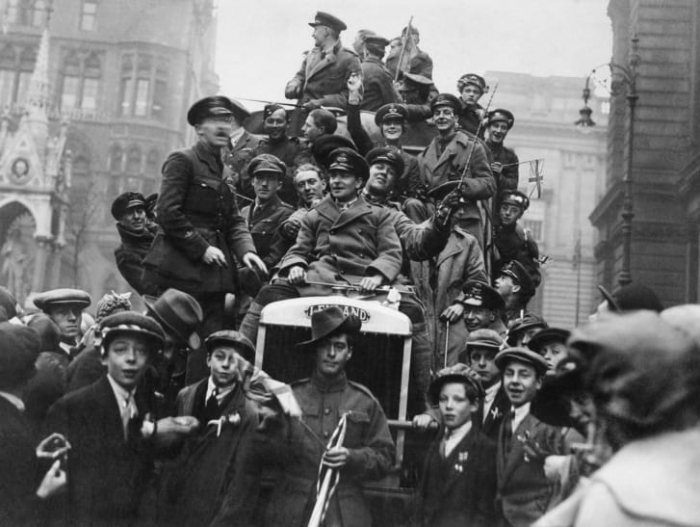 In a 1918 photograph of a street celebration in Birmingham on the first Armistice Day, the buoyancy is palpable. 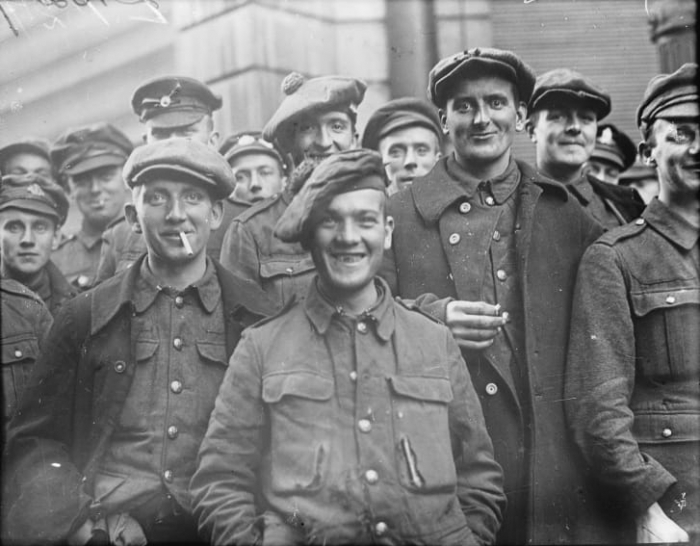 Likewise, a group of released British prisoners in Belgium is all smiles in a photo taken three days later. Such images "show the optimistic side of peace and the hoped-for future," curator Alan Wakefield said in an email. The people pictured would, in time, face the realities of the postwar world, and others who'd been less fortunate were already suffering. In one of the exhibition's most memorable photos, sculptor Francis Derwent Wood is seen placing a cosmetic mask on the face of a disfigured patient at a London hospital. In another taken elsewhere in the city, patients with protheses are being taught how to "relearn simple tasks just in order to survive," Wakefield said. The injured who were able to integrate back into society counted themselves lucky. While the government did, as Wakefield noted, provide support to those injured -- particularly the blind and maimed -- and distribute pensions, there was little to rely on financially. Thus, "it was essential that (veterans) were able to support themselves and their families." Former soldiers who did find work often replaced women who had been hired during the war, sending them back down the rungs of society. The ones who couldn't often resorted to rejoining the military, which at least guaranteed accommodation. "The photograph of the homeless soldier with his wife and eight children ... shows how far such schemes as the 'homes fit for heroes' promise (to provide 500,000 homes for returning servicemen) fell short and failed to become the reality for all those who had served their country," he said. Such scenes illustrate how, despite Britain's victories, "economically, the country (had been) seriously weakened." Commenting on the key messages of "Renewal," Wakefield said, "win or lose a long modern industrial war, few nations emerge unscathed and in a fitter economic or social state than prior to the conflict. And, indeed, it's easier to remedy the physical scars of war than it is to rebuild an entire society.